since he’s an owner is a predominantly black league, with a lot of Black fans, and is a sport that is infused with Black culture. Nonetheless, Sterling, who has a reputation for being less than friendly to Blacks is now under fire once again for hating on the race he employs. The horror of it all. A Black man in a picture with two women! Donald will not be pleased. 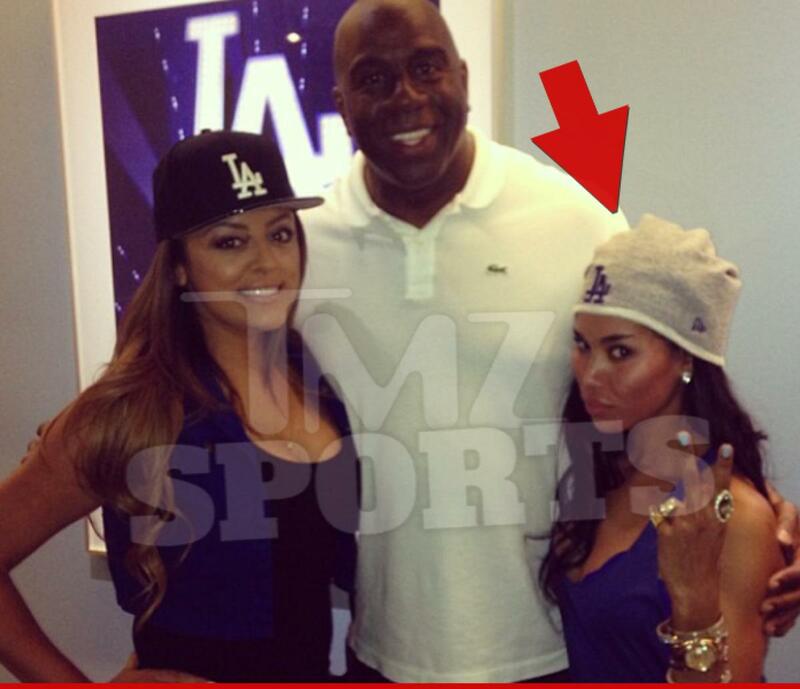 Photo credit to TMZ. Former clipper GM Elgin Baylor even went so far as to sue Sterling over his firing because of racial profiling. That suit was eventually thrown out, however, but Baylor eventually sued Sterling over age discrimination. Poor Sterling can’t catch a break can he? 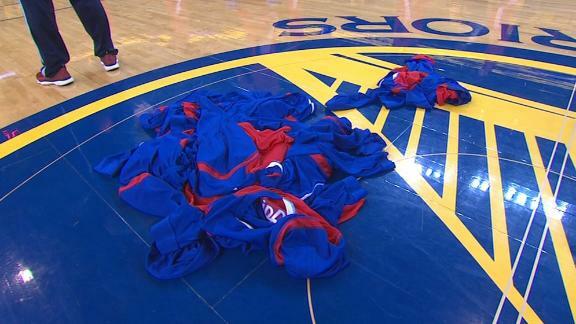 Clippers stripped themselves of their shootaround jerseys prior to Game 4 in Oakland. During shootaround before game 4 of the Clippers/Warriors series, the team shed their practice jerseys, and turned their Clipper tees inside out. They claim they don’t play for the Clippers, “but play for themselves”. The Nets, Rockets, Blazers and Raptors all wore black socks in protest of Sterling and his antics as well. The NBA will also hold its own presser tomorrow regarding the investigation, and should hopefully come to a conclusion as to what it will do to Sterling. The Clippers and Warriors will play Game 5 tomorrow at Staples Center. 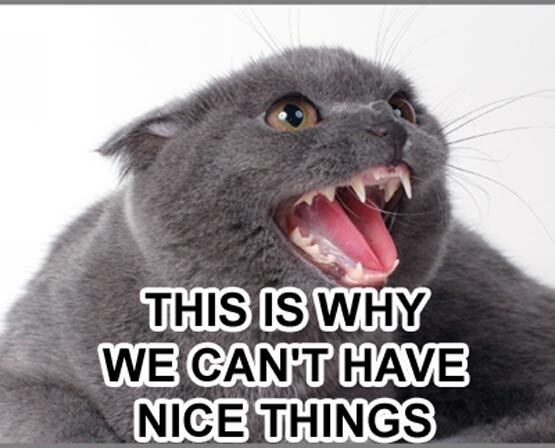 I’m predicting protests from justifiably angry people, and bitter Laker fans looking to jeer the other L.A. team. If you call yourself a basketball fan and haven’t been watching these NBA Playoffs, shame on you. On what has been the most competitive first round series in a long as I can remember, we’ve had 2 series have 3 of its first 4 games go to OT, (OKC/MEM, HOU/POR) both 1 seeds looking shaky against their 8th seeded counterparts, a 2 seed needing two 4 point plays (in two different games) to force overtime, and a GM yelling F*** Brooklyn before Game 1 of a playoff series. Who needs The Walking Dead when you have the NBA Playoffs? The NBA Playoffs – All Drama, without the WWE scripts. Tonight will feature Pacers/Hawks, Heat/FutureHornets, and Spurs/Mavs. I’ll be skipping Heat/FutureHornets because that series is an eternal snoozefest, but the other two games will have my undivided attention. People can harp all they want about the Pacers being “back” because they won a game against a 38 win team on the road. Phooey I say. Atlanta probably wins tonight just because the Pacers are mentally shot. Mavs-Spurs has all of the drama one can expect from these two teams. Vince Carter hitting a game winning shot (Video above) he should have hit 13 years ago was the cherry on top of a series that could realistically go either way. It finally looks like the NBA has some “May Madness” going on, and I’ll bask in every minute of basketball goodness. Who are you pulling for in tonight’s games? Let me know!